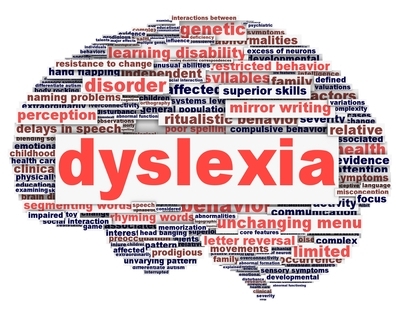 Research indicates that the dyslexic’s brain differs from that of a “normal” reader. Does this mean that dyslexia is caused by a neurological dysfunction or is there an alternative interpretation that explains these differences? Many methods and measuring instruments have so far been employed to either prove or disprove that dyslexia has a biological basis, ranging from autopsies on the brains of deceased dyslexics, to advanced technological tools such as the computerised axial tomography (CAT) scan, magnetic resonance (MR) imaging, functional magnetic resonance imaging (fMRI), positron emission tomography (PET), and single photon emission computerised tomography (SPECT). While researchers still differ in opinion about the affected brain area(s), the majority nowadays agrees that the dyslexic’s brain differs from that of a “normal” reader. Booth and Burman found that people with dyslexia have less grey matter in the left parietotemporal area than non-dyslexic individuals. Deutsch et al. found that many people with dyslexia also have less white matter in this same area than average readers, which is important because more white matter is correlated with increased reading skill. Having less white matter could lessen the ability or efficiency of the regions of the brain to communicate with one another. Using functional magnetic resonance imaging (fMRI), NIH scientists Guinevere Eden, D.Phil., and colleagues demonstrated in a small controlled study of adult males that people with dyslexia showed no activation in the V5/MT brain area, which specialises in movement perception. 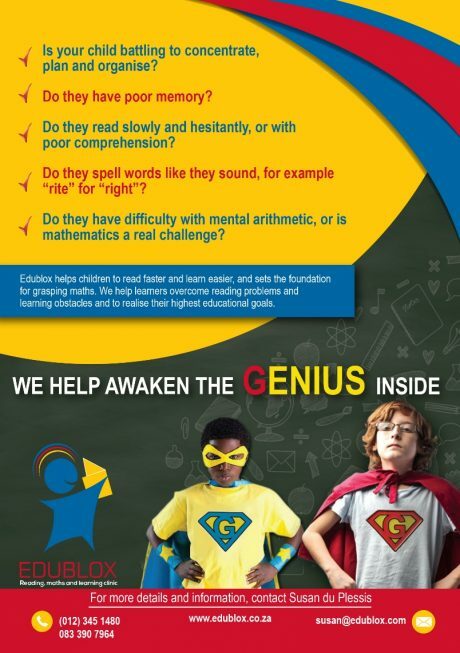 Dr. Eden’s research confirms that people with dyslexia, hobbled by problems with reading, writing, and spelling, have trouble processing specific visual information. “We found that maps of brain activity measured while subjects were given a visual task of looking at moving dots were very different in individuals with dyslexia compared to normal control subjects,” said Dr. Eden. The control subjects showed robust activity in brain region V5/MT when viewing a moving dot pattern. Almost no activity was present in those areas in people with dyslexia. The problem is that such observations have to be interpreted, especially in relation to the question of cause and effect. Which of the two, the brain differences or the reading disability, is the cause and which one is the effect? Because of the biological determinists’ reluctance to recognise that the environment can affect brain function and structure, they assume that these differences must be the cause and the reading disability the result. Some maintain that the brain develops in definite stages. They call these stages “critical periods” in brain development: if you haven’t learned the skill by then, you never will. They maintain that this is because as the brain develops, certain circuits are set up which cannot be changed. We, however, hypothesise that dyslexia causes differences in brain function and structure, and that the brain structure and function will change if the dyslexic person is taught to read properly. A logical point of departure for such an argument would be to first establish if brain function and structure could be altered. There is ample confirmation in the literature that indeed it can. A 1998 landmark study found that the human brain had the ability to develop new brain cells. This research challenged the prevailing theory that the human brain was a rigid system with no ability to generate new brain cells. Previously, most experts believed that humans were born with all of their brain cells, that we lose brain cells on a daily basis, and that our brains do not generate or replace the lost cells with new ones. 1.) A study in 2000 discovered that London taxi drivers have a larger hippocampus, a brain structure known to be heavily involved in learning routes and spatial representations, than London bus drivers. The study found that the size of the hippocampus correlated with the length of time being a taxi driver, suggesting that driving taxis may develop and change the hippocampus. 2.) Neurologist Arne May and colleagues at the University of Regensburg asked 12 people in their early 20s, most of them women, to learn a classic three-ball juggling trick over three months until they could sustain a performance for at least a minute. Another 12 were a ‘control’ group who did not juggle. 3.) Plasticity can also be observed in the brains of bilinguals. It looks like learning a second language is possible through functional changes in the brain: the left inferior parietal cortex is larger in bilingual brains than in monolingual brains. Those who learned a second tongue at a younger age were also more likely to have more advanced grey matter than those who learned later. 4.) Gaser and Schlaug found grey matter volume differences in motor, auditory, and visual-spatial brain regions when comparing professional musicians with a matched group of amateur musicians and non-musicians. Grey matter (cortex) volume was highest in professional musicians, intermediate in amateur musicians, and lowest in non-musicians. 5.) Draganski and colleagues showed that extensive learning of abstract information can also trigger some plastic changes in the brain. They imaged the brains of German medical students three months before their medical exam and right after the exam and compared them to brains of students who were not studying for exam at this time. Medical students’ brains showed learning-induced changes in regions of the parietal cortex as well as in the posterior hippocampus. These regions of the brains are known to be involved in memory retrieval and learning. 6.) Even thinking can change the brain! One experiment involved a group of eight Buddhist monk adepts and ten volunteers who had been trained in meditation for one week. All the people tested were told to meditate on compassion and love. Two of the controls, and all of the monks, experienced an increase in the number of gamma waves in their brain during meditation. It seems that, while stimulation causes brain growth on the one hand, the lack of stimulation, on the other hand, causes a lack of brain growth. Doctors Bruce D. Perry and Ronnie Pollard, two researchers at Baylor College of Medicine, found that children raised in severely isolated conditions, where they had minimal exposure to language, touch and social interactions, developed brains 20 to 30 percent smaller than normal for their age. Let us now theorise on these findings and compare the development of the brain to the development of the body. The structure of a person’s body, as we all know, is to a great extent determined by the type and amount of physical exercise it receives. By lifting weights in the gymnasium Arnold Schwarzenegger’s muscles became big and strong — the structure changed. A person, whose physical activity centres on typing, or who exercises only once in a while, will certainly not have muscles like Schwarzenegger. In the same way, the type and amount of mental exercise a person receives, may determine the structure of the person’s brain. At this point some might argue that little Johnny would never look like Arnold Schwarzenegger, even if he spent twice as much time in the gymnasium. This, of course, is true. The basic blueprint of Johnny’s body structure may to a large extent already have been determined at conception. But nobody would deny that, if Johnny spent the same amount of time in the gymnasium as Schwarzenegger, his body would look completely different after two years. We are all born with bodies that look different. In the same way, we are all born with neurological differences. We all have different talents, aptitudes and capabilities, but it is doubtful whether a difference represents a dysfunction or a disability. Naturally, it will be harder for some children to learn to read and there will always be those who can read better, just as we cannot all be tennis champions. In fact, some people may even find it very hard to learn to play tennis. But by following the correct method of instruction and with sustained practice according to this method, any person will at least learn to play acceptable tennis. 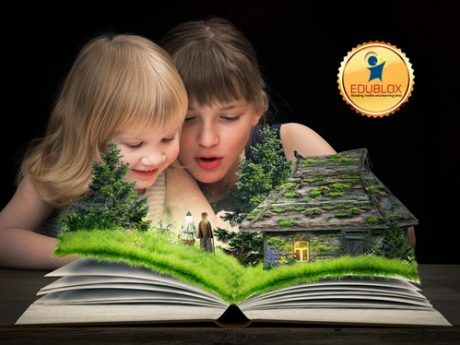 In the same way any person can learn to read at least acceptably if the correct method of instruction is followed and if enough practice is provided. In one study, published online in the Journal of Neuroscience, researchers analysed the brains of children with dyslexia and compared them with two other groups of children: an age-matched group without dyslexia and a group of younger children who had the same reading level as the children with dyslexia. Although the children with dyslexia had less grey matter than age-matched children without dyslexia, they had the same amount of grey matter as the younger children at the same reading level. Lead author Anthony Krafnick said this suggests that the anatomical differences reported in left-hemisphere language-processing regions of the brain appear to be a consequence of reading experience as opposed to a cause of dyslexia. Their optimism is confirmed by cases on record in which one of the hemispheres of the brain of a person was removed surgically and then the remaining hemisphere was afterwards able to take over the functions of the removed one. Consider the case of 13-year-old Brandi Binder, who developed such severe epilepsy that surgeons at UCLA had to remove the entire right side of her brain when she was six. Binder lost virtually all the control she had established over muscles on the left side of her body, the side controlled by the right side of her brain. Yet, after years of therapy ranging from leg lifts to maths and music drills, Binder became an A student at the Holmes Middle School in Colorado Springs, Colorado. She loves music, maths and art — skills usually associated with the right half of the brain. And while Binder’s recuperation is not 100 percent — for example, she never regained the use of her left arm — it comes close. Even more astonishing than the Binder case is the story of John Lorber, a British pediatrician, who studied an individual who, due to neurological illness, had virtually no brain. Instead of the normal 4.5-centimeter thickness of cerebral cortex, this young student had just a thin layer measuring a millimeter or so. In spite of this obvious shortcoming, he was measured as having an IQ of 126, was socially competent, and gained first-class honours in mathematics. If it is possible to learn to function normally — or close to normal — with half a brain or with virtually no brain matter, then there must certainly be hope for children and adults with dyslexia. “My son Preneil was diagnosed with dyslexia in June 2010. He was in Grade 7! We were both quite unsettled and not sure of the way forward. Not only did he have to attend a school programme to help learners struggling with reading but he also had to work with me every night completing exercises in eye movement and word recognition. The issue that troubled Preneil the most was that he was labelled by fellow learners as a “remedial” child. Preneil’s confidence was always quite fragile given his small stature and quiet, introspective nature but this diagnosis dragged him back even further. “Both his teachers and I picked up quite early in his schooling career that Preneil struggled with reading. I had his eyes and hearing tested but found that both were fine. He participated in several reading programmes but there was no significant improvement in his reading. His teachers never recommended that he be tested for ADD or any reading disability, so it never occurred to me that Preneil could be dyslexic. To find out when he was 13 (Grade 7) filled me from feelings of anger and annoyance to sadness and despair. I had not been able to give Preneil the support he needed and I could only imagine the frustration he experienced from one class to the next. The programme he attended in school didn’t show any improvement in his reading. “He entered high school and the first 6 months were difficult to say the least. Preneil was withdrawn and tried very hard to ‘look’ happy because he didn’t want to worry me. At the end of the 2nd term he had failed Afrikaans and obtained 42% for English. Our morale was at an all time low. I did not know how to help my child. “As is common with 21st century mums I spent many hours on Google researching possible solutions. 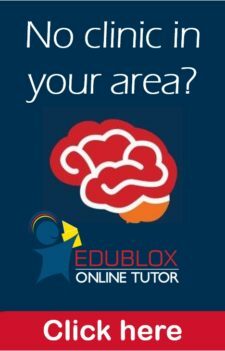 I came across Edublox and found out that there was a centre in our area. But it was only after a glowing reference from a previous participant of Edublox that I registered Preneil into the programme. 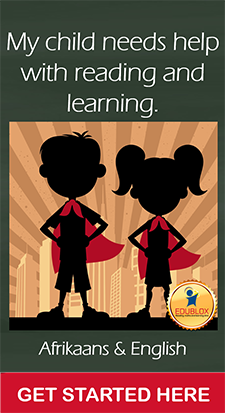 The facilitator at Edublox, Susan, confidently told me to give her 18 months to turn Preneil around. “Preneil has been in the programme for 22 months, attending one lesson per week. His English has jumped from 42% to 58%; he is writing compositions that bring tears to my eyes. His imagination and vocabulary is astounding even though his spelling needs a little more work. Three years later, Preneil passed Matric comfortably with an A in Maths Literacy and achieved 63% in English. He is currently at TUT, where he is studying English Literature.